Here is my 1/32 scale Messerschmitt Bf 109 E-4/B based on the Eduard Bf 109 E-7 kit. This is a really nice kit with excellent fit and engineering. The surface detail is state-of-the-art and it includes engine detail straight from the box. 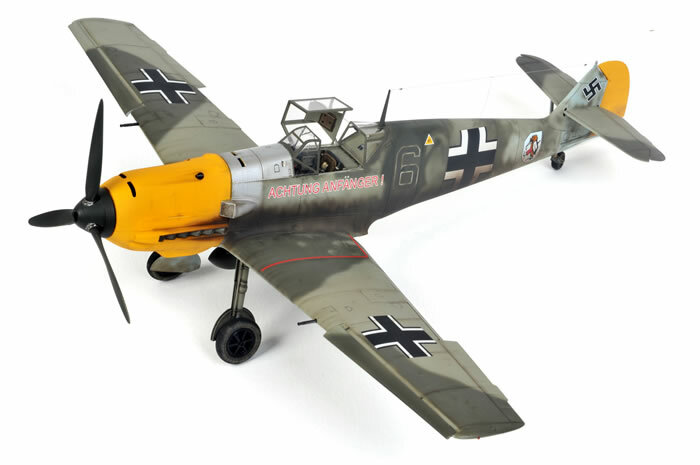 A few of the shortcomings of earlier Eduard 1/32 scale Bf 109 releases had been addressd by the time this kit was available, including a correctly proportioned canopy and greatly improved main wheels. 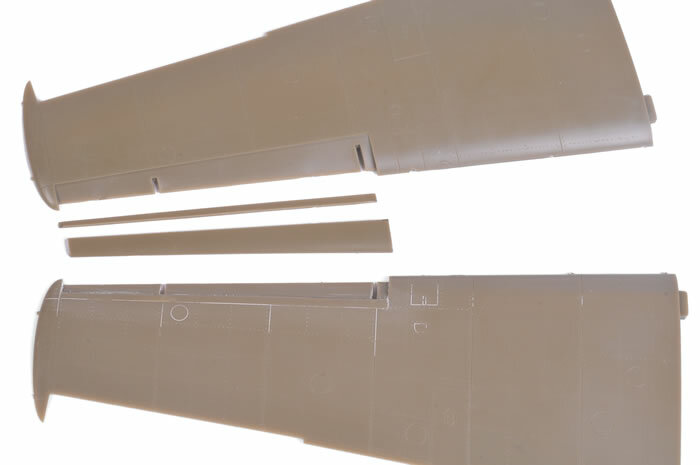 The main remaining issue is the leading edge slats, which are too deep. Fortunatly, it is quite straightforward to fix the slats if they bother you, and you won't need any after-market items to do so, I conducted the necessary surgery to correct the slats on this model. 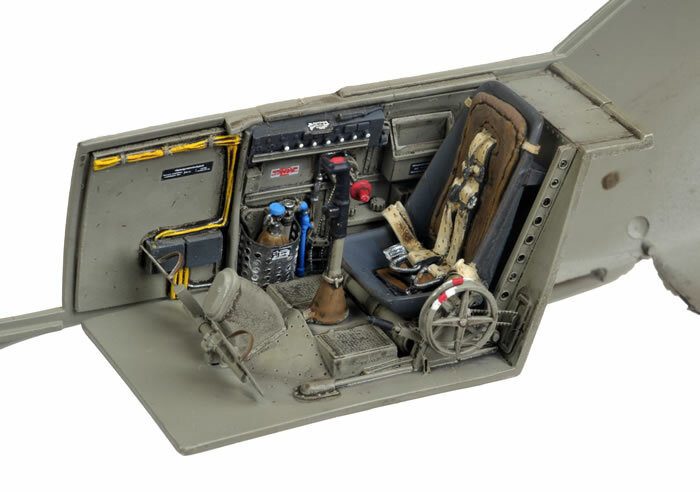 The Aires multimedia cockpit was employed, but I replaced the seat with one of my dwindling supply of precious Cutting Edge seats with the cushion and harness straps moulded in place. I also used the Eduard colour photo-etched parts for the instrument panel and the fuse panel on the starboard sidewall. Inspiration for this interesting scheme and the decals were sourced from Kagero's miniTopColors book no.26 "Battle of Britain Part III". 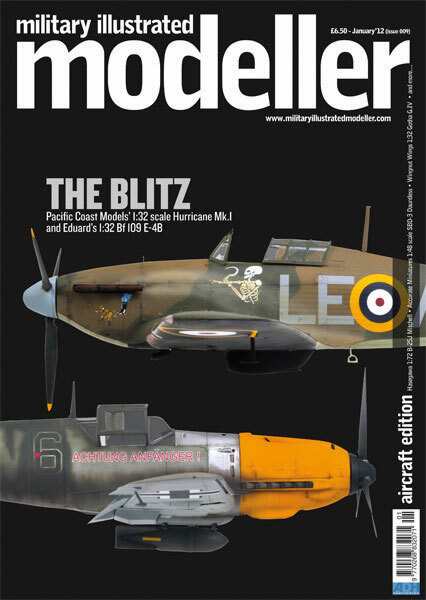 Construction, detailing conversion and correction of this model features in a big Feature Articles in the Issue 9 of the newest magazine from ADH Publishing, "Military Illustrated Modeller". In the UK, this issue is available at WH Smiths and other newsstands right now.